What does an action mapped course look like? 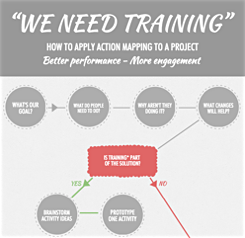 Action mapping has grown in recent years to apply to all types of training design and performance support, not just elearning. It’s a process, rather than a style of product. It should rarely result in just slide-based elearning, because the method focuses on solving performance problems, and one lonely online course rarely solves any problem. It was created to help you develop skills that you actually need on your job. It feels like a stream of activities, not a presentation interrupted by an occasional quiz. The decisions you’re required to make are the same as the decisions you face on the job — real decisions with consequences. If you prove that you can make good decisions about Situation X, you’re allowed to skip ahead to Situation Y. You’re not forced to “expose” yourself to all the information. You’re treated like an adult. For example, no one reads the screen to you. There are no flying bullet points, applause from invisible crowds, or dinging bells. The material is interesting because it’s challenging and relevant, not because someone went to the bling store on 70%-off day. The course isn’t a one-shot deal. For example, additional activities are provided over time, whether as elearning or in other formats, because few problems can be fixed by a one-time mini-course, no matter how well designed it might be. 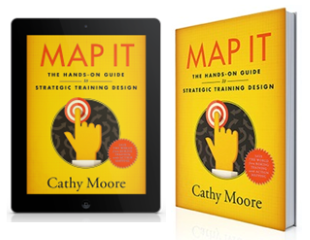 This checklist can help you evaluate the action-mappiness of training materials. To see how action mapping changes our approach to design and creates a different type of activity, you might read this PDF excerpt from my upcoming book. It compares how two different designers approach the same project. In the story, Tina Teachalot thinks her job is to design a course. She uses a weak version of ADDIE and produces the type of course we’re all familiar with. Anna Action von Mapp thinks her job is to solve the client’s problem. She uses action mapping to create a more varied solution. Part of that solution includes self-paced activities that plunge people into challenges with optional help. But I want to see examples! Unfortunately, I don’t know of any publicly available examples of action-mapped materials. (Know of something? Please let us know in the comments.) People I’ve worked with have designed solutions for internal use only. There are good individual activities out there, but we can’t say that they were the product of action mapping because there’s usually no information about the problem they were designed to solve or the reasoning behind the design. They’re simply activities in people’s portfolios or on web sites. You can see a lot of them on my elearning examples page. One of my favorites of these more generic activities is CameraSim. You learn from the consequences of your decisions. For people brand new to using a DSLR, I’d provide a little more optional hand-holding than the site does, maybe as help screens connected to the controls themselves and optional explanations of why the photo turned out as it did. To provide another example, I could describe my scenario design course, because that was very definitely action-mapped, but that’s a big project and therefore another blog post. It’s a blend of live and asynchronous materials in several formats, spaced over time, not slide-based elearning. Love your approach to learning. It is very refreshing. I am working on a new training program at work. We are implementing a service that we have never done before. It is new. I have no examples of what good looks like. How would you use the Action Mapping for such a project? John, thanks for your question. The book will be available late this year or in early 2016, first in Kindle format and then as a paperback. The business goal would ideally relate to getting the new service off the ground and making it profitable (or having it achieve whatever it’s supposed to achieve) within a certain time frame. This analysis would help point out what type of training (if any!) is required for the new service, and what specific skills it should address. For example, if the analysis showed that people will need to wrangle widgets to a high degree of perfection, something they don’t currently have the skills to do, I’d brainstorm ways to help them develop those skills. Can they practice on the job, or should they do it first in a safer place, like in a simulation? Would it help for them to shadow a more expert widget wrangler? Is there anything we can change in the workplace to make widget wrangling easier? And so forth. Designing a training activity is only one of many options. Thanks. Looking forward to the book. I find your blogs very inspiring, thank you for sharing them! I’d like to ask how you would approach using an action mapping approach with a challenge I face at work. I work on a team that builds e-learning for a qualification that is based on set standards that the learners must pass assessment on the specific standards in order to achieve the qualification. It seems difficult to try and make the direction of the content feel authentic and real life based when the learning objective (as such) are pre-set by a qualification? Also, I feel less inclined to change the standard based language in the learning sessions to more ‘real life’ language, because I don’t want to disadvantage the students to not recognise the connection between what they have understood from the content and the confusing formal language in the standard based assessment. How would you approach this situation with action mapping? Hi MInerva, thanks for your question. If you’re describing a knowledge test, I actually wouldn’t use action mapping for the project. Action mapping is designed to be used in business to solve a specific performance problem (“Our Denver staff aren’t transmogrifying widgets as well as they should”), rather than to prepare a less specific audience for a standardized test (“Here’s everything you need to know to pass the national widget transmogrification certification, regardless of where you work”). However, the standard you described sounds like it goes beyond knowledge and describes something that happens on the job. If I understand it right, it means something like, “Make sure that the agencies that you’re in charge of / evaluating describe how they make their services accessible.” That’s a real-life task that the learner, if I understand this right, needs to do. So it should be possible to interpret the standards in a way that lets you design realistic activities, such as displaying the language used by a fictional agency to describe its services and having the learner identify how that language should change, if it should change. The analysis parts of action mapping don’t apply because this is a project for a not-specific audience, the only goal is for them to pass a test, and it has already been decided that elearning is the delivery medium. But you could design the activities in a way that lets people not only memorize rules but practice applying them. Really helpful feedback, thanks Cathy. In the Partner Capacity Enhancement in Logistics (PARCEL) Project , an ECHO funded project led by a consortium of 10 humanitarian organisations, we very much tried to use the action mapping approach in our instructional design. I am looking forward to using the checklist to see where we succeeded and where improvements are possible. With regards to examples, all our materials are publishes under a Creative Commons 4.0-BY license, and can be downloaded from, the project site. Happy to hear what people think! I have challenges in defining a measurable goal in the eLearning I create. A lot of The learning I create has to do with sales, safety and general working skills for non-knowledge workers (harvesters, tanker drIvers, train drivers, etc). The trainings are often launched simultaneously with other campaigns (additional sales training, safety improvements, etc) so I find it difficult to define a measurable goal as the trainings are not the only means used. I find action mapping very interesting. I have never heard of it. I am currently a student of Instructional Design and am looking for any and everything that can help me increase my knowledge of this subject. I like how it is tiered towards the individual rather than the “entire” work force. There is nothing worse than death by Power Point. I really like how you discuss real issues based off experiences rather than things that may not ever happen. This ensures that people place this in long term memory. There is no better way to learn, then learning by making mistakes. Making mistakes makes it easier to remember the task at hand by associating what you did wrong last time and ensuring you do not commit the same mistake again. Brilliant!! Keep up the great work! Thank you for the great post and the comparison of the two approaches. I’m very much looking forward to the book! After years of training and facilitating, I got involved with e-learning development as a part of a larger project management opportunity. 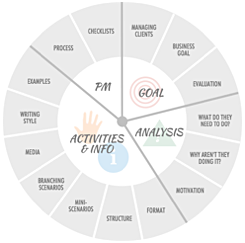 I have been following your blog ever since and am a huge fan of your action mapping process! I don’t know if it would help anyone else, but I developed a worksheet based on your concepts to help me stay on track when action mapping with a SME. I found it easy to get “sucked into” unproductive content meetings and really like having a format to fall back helps me keep focus. 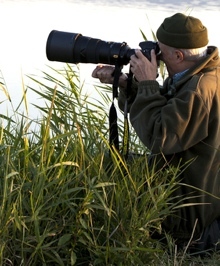 Anyone can access the tool at https://lakesideinsight.wordpress.com/2015/11/12/working-with-subject-matter-experts-and-action-mapping/ . Thank you, thank you for all of your wisdom, humor, and passion for instructional design!!! Michelle, thanks for sharing your materials! Michelle, thanks for sharing the SME worksheet you developed. It is simple and to the point. 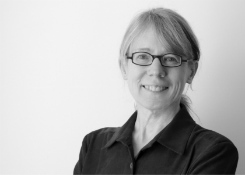 Cathy, I am very grateful that you give such down to earth examples of your passion for learner centered design. You are articulating the paradigm shift we need in the training industry and in education. Thank you for including the chapter from your book. No fluff. Just a super practical example of how to do it and what happens if you don’t. That chapter alone proves the worth of your soon to be released book. Can you give an updated suggestion of software tools that allow one to create a prototype like the needle prick example you gave? I am having trouble finding one that will allow me to give the scenario and also give an optional link to an SOP or other resources on the same “slide”. Also, you mention meeting with management and SMEs to set performance goals. Have you ever just started with the workers themselves? Thinking of asking them through a written assessment and interviews to pinpoint the challenges or frustrations in their job, writing them on sticky notes, and then asking them to place the sticky notes on a white board with four quadrants labeled environmental problem, need knowledge, need to practice a skill , or need motivation. Then we can discuss as a group/department what the sticky notes say and what type of problem they seem to be grouped under. I am thinking that having people participate from the get go will give an even greater level of motivation to increase performance. Again, thank you for challenging us to go deeper and make a difference. I love your suggestion for the quadrant white board and doing the assessment with workers directly. As someone who works and develops content for a single agency, I think there is a lot of value in assessing needs at multiple levels and especially gratifying when the needs seem to “jive” from leadership through the organization. I applaud your creativity and would love to hear if you try it and have success! We are reworking our training assessment and training planning process right now and it would be great to hear from other industries. I am sure different folks use different tools to create content. I can’t wait to hear how Cathy Moore responds. I personally have seen a lot of creative content and love the user forums for Articulate Storyline. Linda, thanks for sharing your idea about having the “audience” for the training be the first to help with the analysis. I think that’s a great approach. The workers know better than anyone else what challenges they’re facing. I created the mockup for the needlestick scenario in Balsamic Mockups, but it could be done in PowerPoint or any simple graphics program. It’s just an image; the clickable action could be added with a transparent button in PowerPoint or any elearning tool. For example, you could overlay a transparent, borderless button over the job aid thumbnail; when that button is clicked, a copy of the job aid that has been uploaded to the internet is opened just like you’d open any web page. That would be a quick and simple way to show how the material is intended to work without spending a lot of time on pop-up windows and such. I have just recently discovered your blog and love clarity you bring to thinking about learning design. I’m not sure if our example, http://www.surewash.com qualifies as action learning but in our design we have been informed heavily by action research as a process of culture and behaviour change in hospitals. We are using gesture recognition technology to drive an augmented reality interface so as to place the learners in control of their own learning. I realise that a mobile kiosk for hand hygiene training is a very niche eLearning application but I would be interested in your thoughts.